Touted as a great travel toy, Giggle Belly Timmy is a mess-free drawing aid that encourages children to create their own masterpieces! Just start drawing on Timmy's belly and he will giggle like crazy until you stop! To erase your artwork, simply turn the "pen" around and rub Timmy's belly again until you have a fresh new canvas. 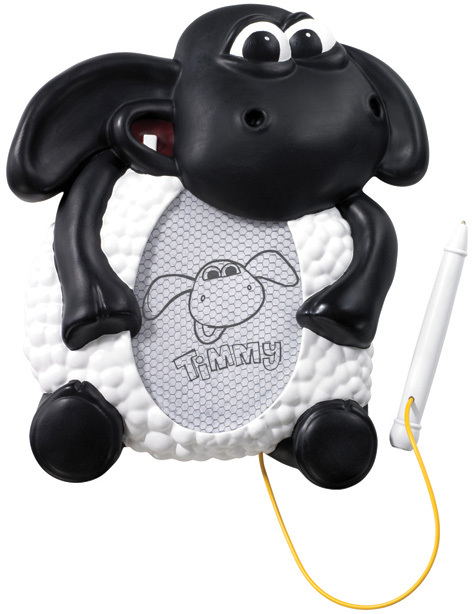 Giggle Belly Timmy is a superb toy that not only amuses youngsters but encourages them to get creative too. Because there are no messy paints or or chalks, the toy is great for taking in the car, ready for when the inevitable boredom strikes halfway through the journey! Please tell us what you think of Giggle Belly Timmy by Timmy Time and Aardman.